Financial wellness is just as important as physical, emotional, mental and spiritual wellness. However, it’s definitely not intuitive and it needs to be taught. Unfortunately, a lot of parents could do with some schooling as well! 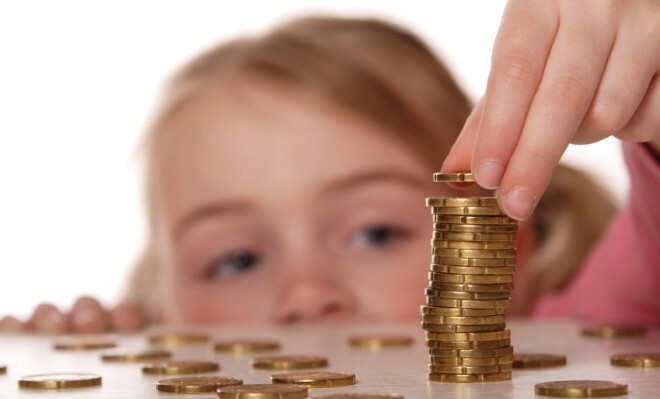 It’s the blind leading the blind much of the time, which is why parents should seek our financial education for their little ones right alongside other life skills courses. It can be an excellent accoutrement to sports, music, STEM and creative arts. Some parents have very strict views on allowances, and WebMD offers some tips on choosing the right amount (although your own budget should be the top priority). However, making sure your children are actually earning their allowance for chores that are “extra” (on top of what they’re expected to do for free as a member of the family) is crucial. There are some parents who make their children set aside a percentage for savings, their college fund, and even for “taxes”. It’s a basic way to teach how money works in the real world from a young age and the importance of saving for what you really want. The next time you go grocery shopping, follow US News’ advice for frugal shopping and share your strategy with your child. For example, what’s the real price difference between off-brand and name brand goods, and which ones are “worth” going with name brand? Some people can really tell the difference between their favorite name brand cereal and the generic version, so the price difference is worth it to them. Also discuss coupons, when it’s viable for you to go with eco-sized goods, and shopping at bargain outlets vs. the benefits of locavor-ism. Obviously parents will encourage their children to do well in school and hone their talents so they can get a “good job”, but what does that even mean? To make things simple to understand, share with your child what the minimum wage is in your state and what that means. If it’s $8, then a full-time job is $320 per week or $1,280 per month. Then there are taxes (find your state’s taxes and share it with your child), housing, utilities, insurance, savings, food, etc. Create a fake budget with your child, break it down, and find out just how long that person would have to save for something like a trip to Disneyland. The power of the dollar can only be understood if you take it piece by piece. Money should be respected and restraint should be in use every day. This means not going with the most expensive gas station just because it’s right there or making your own coffee, hot chocolate, etc. even if it’s a little more work than swinging by the coffee shop. Your children will mimic your own habits, and really financial health is something the whole family should benefit from. Monkey see, monkey do? That’s certainly true with raising children and it extends to how you handle money. Children who work for an allowance, have to pay for certain things on their own, and have money de-mystified for them will have a better grasp of it when it comes time for their first job.